An average garage door can only withstand harsh weather conditions and excessive use up till a certain point of time, after which, its start displaying signs of failure. Eagle Garage Door Service builds quality garage doors made from top-grade material that extends their life significantly. We keep in mind the weather conditions, temperature, size and weight and other factors while building your doors. Apart from durability, our doors come in different types and elegant designs. Our doors vary from needs to needs and fit every pocket. From high-strength commercial garage doors to finely crafted wooden garage doors, we offer everything to our diverse clientele. All our doors are built to last and have strong weather proofing capabilities that keep your garage interiors optimally warm or cold, saving up on your power bills. Over the years, our name has become synonymous with quality and durability. All the components we offer are of top-quality, whether they are openers, modern sensors, torsion or extension springs, or noiseless belt drives for garage doors. Why choose Eagle Garage Door Service? We have been providing unbeatable garage door service to the Paterson, NJ community for a better part of the last decade and our customers keep coming back to us for all their garage door needs. The reason why we are preferred over other firms is our insistence on using only the best products and display of extreme professionalism while carrying out any job. 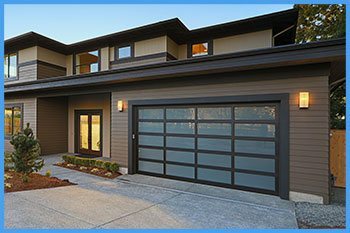 A Eagle Garage Door Service garage door is a mark of quality that people have come to trust and will continue to in the future. We only deal with the leading brands in the industry to procure all our materials. This helps us ensure the superior quality of a Eagle Garage Door Service garage door. 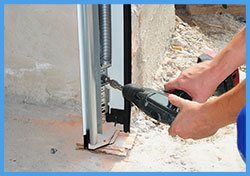 We also believe that superior quality mustn’t come at a hefty price; therefore, we continue to remain the most affordable garage door service firm in Paterson, NJ.